The “fair use” section of the U.S. Code (17 U.S. Code §107) contains barely 170 words, and yet these few words have enormous consequences for many crucial spheres of activity in our society. 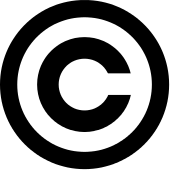 Fair use allows journalists to quote sources in their reporting, reviewers and commenters to reproduce portions of works under discussion, and provides researchers with the freedom to build upon ideas and discoveries that have preceded them. In other words, it is a key component in the promotion of the “sciences and useful arts” as laid out in Article 1, Section 8 of the U.S. Constitution. This session will review what fair use is and provide some guidance on how to apply it in good faith, with a focus on the concept of “transformative” use and its particular application in determining whether or not use of copyright material is “fair.” Terry and Hannah will offer a brief presentation followed by an opportunity to field questions from attendees focused on specific developing digital liberal arts projects at Middlebury. Please sign up below. Lunch will be served. Terry Simpkins has worked in the Middlebury Libraries for 15 years, and is currently Director of Discovery and Access Services, providing oversight for the areas of borrowing and reserves, collection management, library systems, and interlibrary loan. He also serves as the library’s in-house resource for educational fair use and copyright issues. His educational background includes an bachelor’s degree from MIT, an MLS from the University of Illinois, and a MM in Organ Performance from Westminster Choir College. Before coming to Middlebury he was a music catalog librarian at St. Olaf College in Northfield, MN and at the Eastman School of Music in Rochester, NY. He also plays drums in a two Addison County bands, The Good Parts, a funk-based instrumental group, and The Pantet, an improvisational collective that includes other College staff and faculty. Hannah Ross is the College’s first in-house General Counsel, coming to Middlebury from Princeton University in 2016. Hannah provides advice and counsel across many legal areas, including student affairs, employment, governance and compliance, risk management, contracting, and access and inclusion. Hannah earned her bachelor’s degree in English at Yale University and her JD from Harvard Law School. 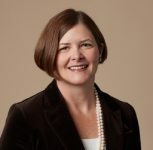 Prior to her work at Princeton, she was an associate in the trial department at Hill & Barlow, P.C., and an associate in litigation at Goulston & Storrs, LLC, both in Boston. After law school, Ross clerked for Vermont Supreme Court Associate Justice Hon. Denise R. Johnson.